Another tradition from not so long ago was May Day. On the first day of May, children would make little bouquets with spring blossoms such as violets, bleeding heart and lily of the valley. I remember nestling these nosegays into baskets that we made from construction paper and milk cartons. We would hang the baskets on front doors around the neighborhood and then run away so our gifts would be a surprise. Lily of the valley is treasured for its waxy, pure white flowers and unforgettable perfume. In the garden, it’s a shade-loving ground cover with thick, fleshy roots that spread to crowd out weeds and other plants. The shiny, lime green foliage gradually deepens to a lush, dark green and keeps landscaped areas looking neatly maintained with little or no attention. The plants are extremely tough and will grow in almost any type of soil. They also tolerate both cold (zone 3) and heat (zone 9). The roots love moisture, yet once established they are also quite drought tolerant. In warmer zones the foliage may keep its green color throughout the winter. 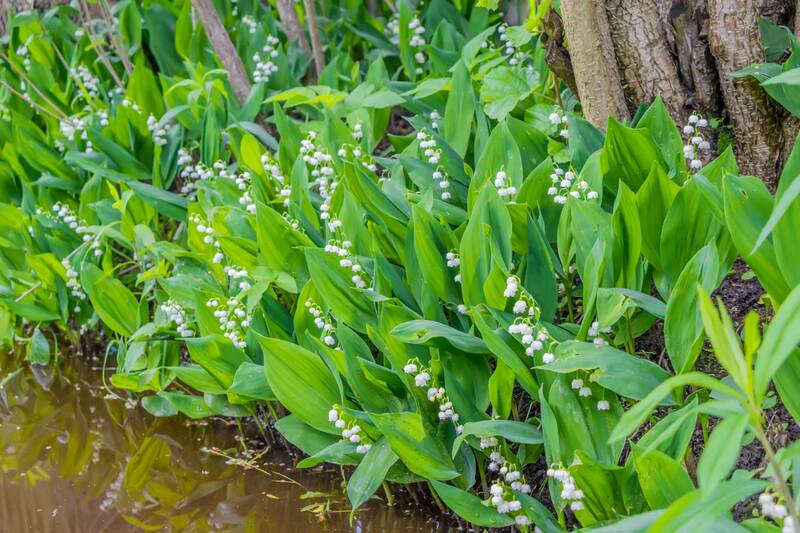 Consider planting lily of the valley beneath shade trees or shrubs, against the foundation of a building or around a water feature. It’s also a good solution for steep banks and uneven terrain where it’s difficult to maneuver a lawn mower. Lily of the valley prefers growing in dappled light, but it’s one of the few plants that can take full shade. If your yard has a dark, forlorn area near an outbuilding or under a fence, it may be just the thing. You’ll get a weed-proof ground cover with the bonus of pretty spring flowers. Lily of the valley is a ground cover, and if you use it that way, you will love it. If you treat it like a regular perennial and add it to your flower garden, you may be sorry. I wish I had known this when I planted my shade garden. With all those wonderful childhood memories, lily of the valley was one of the first plants that I put in. For the first few years, it grew slowly and gradually filled a 2’ x 2’ area. Then one year it took off and proceeded to choke out all my primroses. It then went on to take over the epimediums, heucherellas, pulmonarias and other treasures. I tried to keep it in check by digging out the runners, but they are incredibly tenacious. Eventually, I hired a neighbor’s son to dig up my entire shade garden. All the plants went onto a tarp and then I combed through each root ball to remove any signs of lily of the valley. Roots, shoots, stems and leaves all went into a plastic trash bag. Then I gave the soil another careful raking before replanting the perennials. Over the next few years, random lily of the valley leaves popped up here and there, but I would immediately dig them out. I’m happy to say there’s no sign of them now. Fortunately, I had also planted lily of the valley in a damp, shady area beside our woodshed. It’s the perfect spot. The foliage keeps the area looking neat and I get to pick all the flowers I want. Of course, one of the best reasons for planting lily of the valley is to have your own supply of cut flowers, free for the picking. To my eye, spring’s sweetest flower arrangement is a combination of muscari, violets, primroses and lily of the valley. Generations of brides have carried bouquets of lily of the valley (including Kate, the Duchess of Cambridge). Fragrances are powerfully linked to memories, and what better way to remember such a special day than with this distinctive perfume. Once you have an establishing planting, you can dig up some of the roots in the fall or in early spring, and stick them into pots to create living bouquets. I have never tried this myself, but it would be a terrific gift. 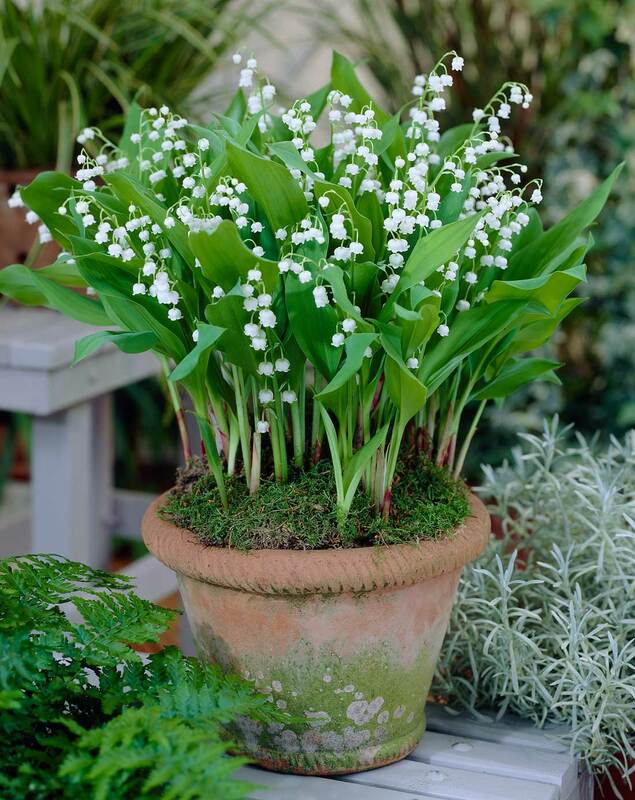 When you have your own patch of lily of the valley, you can also celebrate the holiday La Fête du Muguet. It is probably the origin of the May Day that I celebrated as a child. 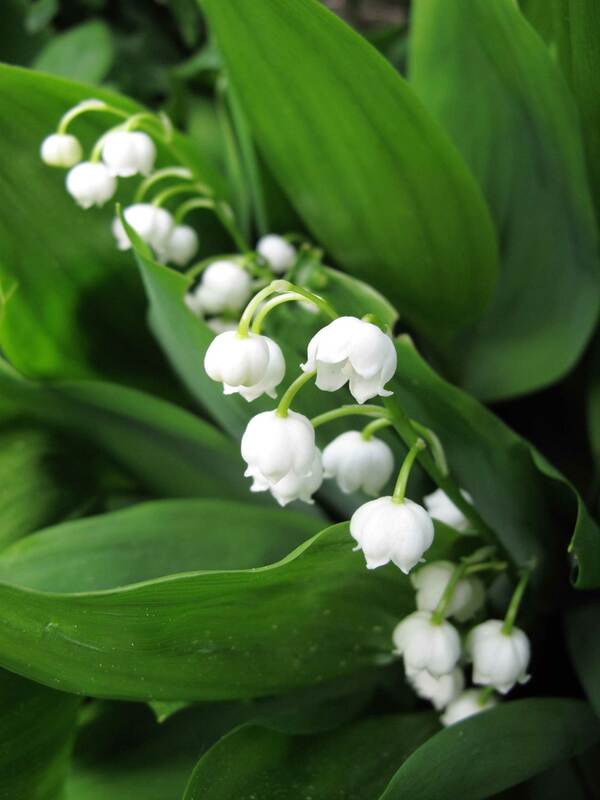 On this day – May 1st – people throughout France give little bunches of lily of the valley as tokens of affection to family and friends. The flowers are grown commercially specifically for this special festival. To make your own French-style bunches, just cut a fistful of flowers and leaves, and tie them together with raffia. Happy Spring! To learn more, read All About Lily of the Valley. 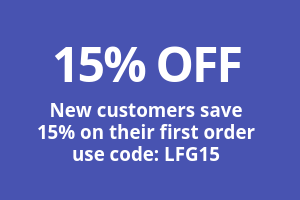 To shop for plants, click HERE. Love to have your beautiful Lillies of the velley, but too hot in Corpus Christi, Texas! Hi Stella — That is true. Of course us northerners pine for your plumbago and oleander! I’m in Galveston County Stella and so far so good growing this. Just have a small area and it’s well shaded. Reminds me of growing up in northern Illinois. Hi Debby — There’s something about lily of the valley and memories. Maybe it’s that heavenly fragrance that transports us through time. Hi Jennifer — Nothing else like them! And such a fabulous fragrance. I love these. My grandmother had them in her yard so many memories. Question please. I read you can sink a pot in the ground and plant your lilies of the valley in that to avoid the issue you had. Is that true? I haven’t tried that myself, but I see no reason it wouldn’t work. I grow mint in an 18×18″ diameter plastic nursery pot. Dig a big hole, cut out the bottom of the pot, put it in the hole and fill with soil and the plants. Make sure the lip of the pot sticks out of the ground by about 2″ so the plants can’t sneak over the edge. Works great! I love Lily of the Valley. They were my father’s favorite. I now live in Georgia and have not had success growing them. Also, the deer that roam our property, love them! Any tips out there to grow them successfully? Thank you! Hi Karena, Lily of the valley are not fans of hot weather. If you want to give it another try, choose a shady planting area where the soil stays relatively cool. Start by amending the soil with compost and whatever other soil conditioners you use in your area. This will improve drainage as well as the soil’s ability to retain moisture. Plant the pips and water them weekly for the first growing season — until the roots get well established. Mulching the soil will help keep it cool and hold moisture. Good luck! Why don’t my lily of the valley flower? Hi Pat – There are two common reasons for plants to stop flowering. The first is not enough light. 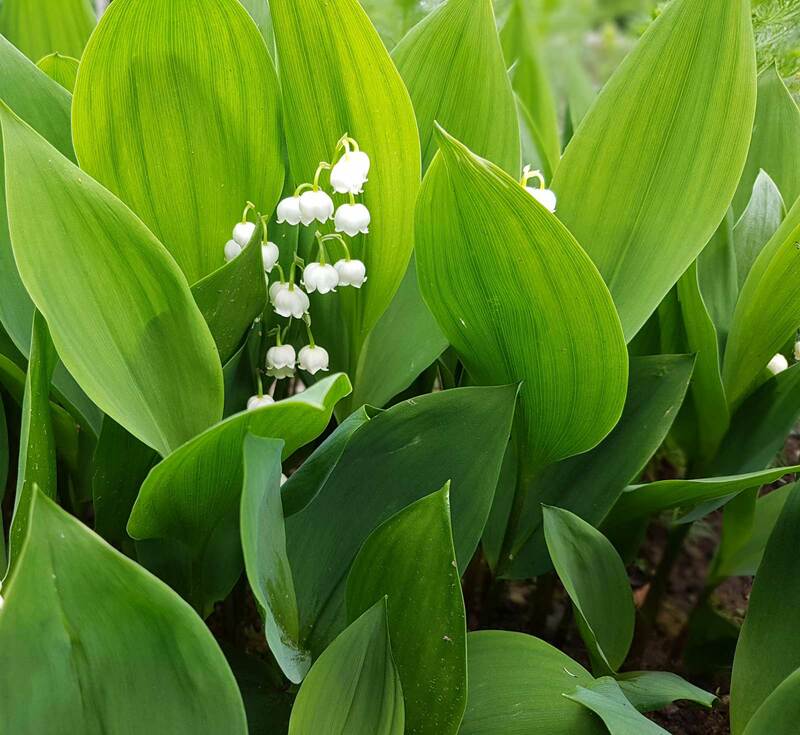 Lily of the valley actually prefer growing in partial shade, but if they are in deep shade, like against the north wall of a house or under evergreens, they may need more light. The other reason is overcrowding. If your plants have been in the same place for a long time, they may have become a mass of roots and stems with not enough space to thrive. A relatively easy way to give them more room is to remove about 1/3 of the plants and let the others expand. Just use a shovel to dig out sections of plants and then go back and fill the empty spaces with soil. Hope this helps! 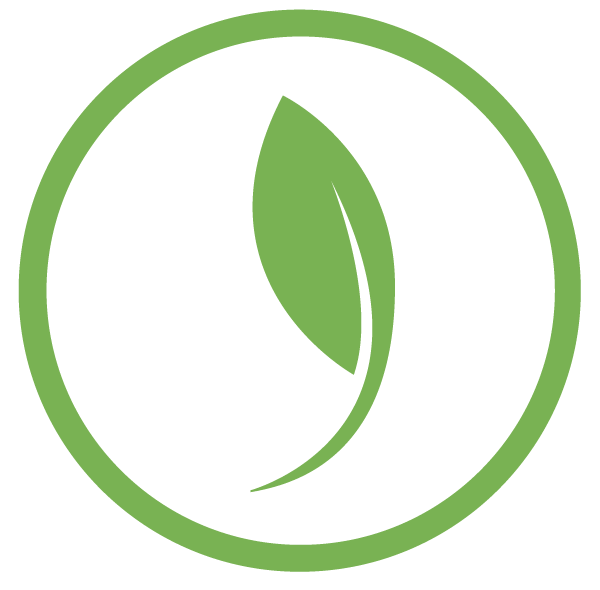 Hi Jo-Ann — Lily of the Valley needs consistent moisture until the plants get well established. After that they can tolerate relatively dry soil. They also prefer at least a half day of shade. Start by planting a group of the pips relatively close together so you can keep an eye on them and they can establish strong roots. A year or two later you can transplant them into different areas (so this in early spring before the foliage unfurls). Hope this helps! Hi, just moved to Gardnerville Nevada when can I plant my 5 roots of lily of the valley it might snow before March and April are over? Hi Beverly. Spring is off to a colder-than normal start in many parts of the country. Fortunately, lily of the valley is a cold-hardy plant that’s not bothered by snow. It’s safe for you to plant the “pips” any time after the ground has thawed and excess winter moisture has drained away. Around the same time as you might be planting peas and potatoes. Until then, keep the plants in the bag and store them in a cool, dark place where they won’t dry out or be exposed to freezing temperatures. Follow the planting instructions on the package for planting depth (or see our how-to article HERE). It usually takes a couple weeks to a month for the roots to take hold and begin sending up new shoots. By that time, the weather will hopefully have warmed up. Once the roots are safely underground, extreme cold may damage young foliage, but the plant will survive. Good luck with your new plants! Is it true that lily of the valley is very poisonous and in extreme cases even cause death? I just planted bulbs in the early spring (no sign of them growing yet) but just hear they could be dangerous for pets and children. (The kids have never tried to eat any of my other flowers but I may have to reconsider keeping it. I would just think it would be more widely talked about if it were that dangerous. Hi Courtney – Lily of the valley is toxic as are many other garden plants including foxgloves, euphorbia, rhododendrons, daffodils, poinsettias and larkspur. Other common plants around homes and gardens are also toxic, so it’s important to educate children (when they’re old enough) not to eat anything outdoors unless you approve. Very young children and pets are a different sort of challenge. I have that entire list of toxic plants in my gardens, and raised two very curious outdoor kids and have had several dogs. Not sure it was a wise choice, but just another of those parenting decisions where you make a call you hope is right! Thanks for the very helpful information. My first attempt last year, the deer pulled my pips out of the ground. This year, I’m protecting them until they get established! Question: how deep would a physical barrier need to be to prevent the roots from spreading where I don’t want them to go? Hi Sally – Honestly, I have not tried to contain lily of the valley with a barrier. But I have dug out a lot of it and know how aggressive those roots can be. I would make your barrier at least 12″ deep. I love them but they take over the world. Hi Mary – Yes. It’s not a very polite plant, but great for the right place! Hi Christopher – what a nice memory of childhood and your mother. I love the way plants connect us to people and places that are dear to us. I haven’t gardened in the northwest myself, but lily of the valley does grow well there. It loves cool, moist soil (though it is also pretty drought tolerant during the summer). As is true in other parts of the country, if this plant is too happy, it can become invasive. I had a planting that was very well mannered for about 10 years and then BOOM it took over my entire shade garden. I eventually hired someone to help me dig out every bit of it and then spent the next couple years digging out the roots whenever I would see a leaf. I miss it. If I had a contained area I’d be tempted to try again. So… if you have a shady or semi-shady spot where you don’t mind if it takes over, give it a go. Just keep an eye on it!